There are a few different ways to tell how full of a cupboard a coach left for his successor. Thanks to the 2006 season, at Florida the default way is to count starters. Famously, 21 of 22 starters on Urban Meyer’s national championship-winning second team were Ron Zook recruits. Cornerback Ryan Smith, the graduate transfer who played for Meyer at Utah, was the one exception. 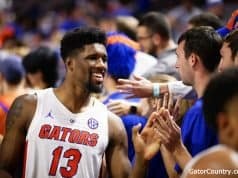 Jefferson and Shuler figure to keep their starting jobs. Louisville graduate transfer Jonathan Greenard has been playing as the top Buck in spring, and Mullen praised his physicality on Tuesday. Given that Greenard played exceptionally well for Todd Grantham at Louisville, he will probably keep that spot on top of the depth chart. Staying on defense, 2018 signee Amari Burney has taken over Vosean Joseph’s linebacker position next to David Reese II. Again on Tuesday Mullen sounded enthusiastic for what he saw there. Dean is getting the first crack at Chauncey Garnder-Johnson’s star position as well. That right there makes five non-McElwain guys as starters if Burney can solidify his place there. Back on offense, 2018 signee Chris Bleich has been with the ones in the new-look offensive line. Even if he doesn’t end up starting, his top competition figures to be from 2018 JUCO transfer Noah Banks. Texas transfer Jean Delance, who entered the program in 2017 under McElwain, is in the top right tackle spot right now but will have to hold off 2018 signee Richard Gouraige. 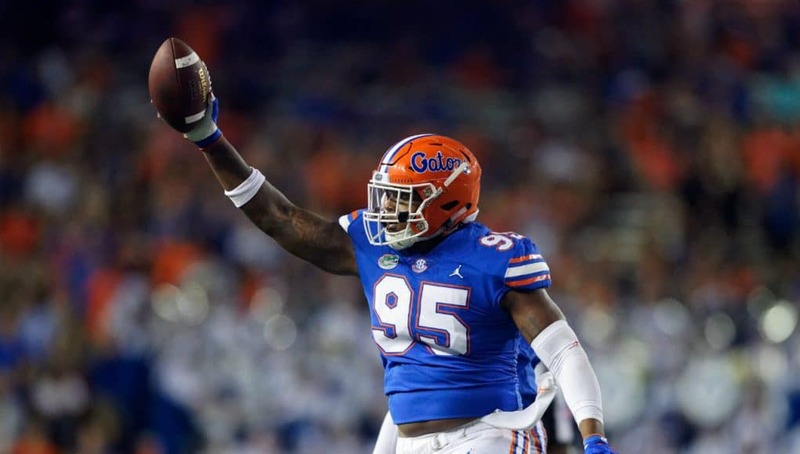 Mullen has said his second-string line has been a redshirt freshman (Gouraige) and four high school guys, meaning his four 2019 early enrollee linemen. Should any of the four McElwain recruits or transfer currently slotted with the starters get hurt, and Brett Heggie has had horrible luck in that regard, a Mullen guy is likely to step in. That goes whether it is the currently-sidelined Banks or someone from the second string. For now though, that’s probably one or two more Mullen recruits/transfers starting to hit six or seven in our count depending on if Bleich and/or Gouraige can nail down a starting spot. Tight end is wide open right now, and there is only one McElwain recruit among them in Kemore Gamble. True sophomore Kyle Pitts played an increasingly large role as an outside receiver last year, and Mullen has been high on 2018 Arkansas transfer Lucas Krull until he dinged up his shoulder earlier this week. If either Pitts or Krull gets this starting role, that makes as many as eight. The potential ninth could come if Grimes can beat out Cleveland for a starting spot. Cleveland’s targets tailed off in the second half of the season, and Grimes shined in his stead against FSU with five catches for 118 yards and a score. He then looked somewhat lost in the Peach Bowl and only had one catch for -2 yards, so it’s not a done deal or anything. Still, I’ve seen more than one Florida beat writer suggest that Grimes looks poised for a breakout season. It’s worth mentioning, though, that Muschamp used Powell as a running back, so even one of his guys who was starting had changed positions. Plus, the only Muschamp guy among the nine combined players listed at quarterback and running back was former walk on Mark Herndon. Dillard went down to injury in the loss to Arkansas, and he was replaced first by McElwain signee Tyler Jordan then by 2015 NC State transfer T.J. McCoy. Muschamp signee Ahmad Fulwood showed up as a starting wideout a few times, but by the end Cleveland was on the top line instead of him. That meant UF had only three Muschamp signees as starters on offense by the end of 2016. Eight guys who signed with or transferred to McElwain were starting on that side of the ball alone. Mullen having seven to nine of his own starters this year certainly has a different feeling. Not only are they spread out across both units, but the team as a whole just functioned better in Mullen’s Year 1 and doesn’t seem poised to fall off in Year 2. That’s a far cry from McElwain’s post-Grier offenses still looking awful at times despite how much they were composed of his own guys. Winning — and looking good while doing so — cures so many bad vibes. Of course, Mullen has talked about how every position is an open competition every day. These starter counts are subject to change every day, especially in the cases of linebacker, tight end, right tackle, and wide receiver. 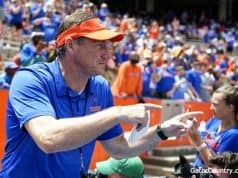 But with all the ways that Mullen has put his stamp on the program quickly, it’s worth taking a moment to recognize how much he’s had to do it through changing up the personnel on the field. Attaining the Gator Standard has meant bringing in a lot of new Gators. David, I’ve repeatedly enjoyed your articles. Your rhythm, logic and knowledge of UF Football has been an education and enjoyable. 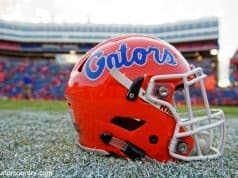 Your articles have the gift of prediction based on insight and a willingness to present views of UF’s future ability. It is wonderful that you see so very much from Naples. Thank you, tangeman.